The Land of Lincoln is stepping up and calling out President Trump on his spurious claims that he cannot turn over his tax returns due to an ongoing audit. 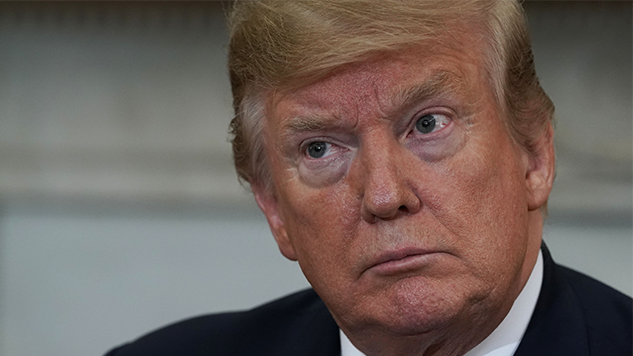 On Thursday, the Illinois state Senate passed a bill compelling Trump to make his tax returns public, or else forfeit his chance to be on the state’s 2020 ballot. Considering that Illinois carries a whopping 20 electoral votes, it’s a bold move on their part, and one Trump will be fighting this until the end. During his time in office, Trump has continually tested our system of checks and balances. At a federal level, thus far it has seemed difficult to challenge him or his cronies. It’s heartening to see that, at least on a state level, politicians continue to try to throw in the odd check to total executive power. Similar bills are reportedly being discussed in 17 other states, now that Rep. Richard Neal’s (D-Mass.) attempt to have the IRS produce the tax returns has proven possibly futile. The legislation passed 36-19, thanks to the Democratic majority in the Illinois Senate. It will now move on to the House. “If you want to run for vice president or president of the United States, hey, what’s wrong with providing your tax returns for the past five years?” State Senator Tony Munoz (D-Chicago) said, according to WBEZ. Honestly, chirping makes it sound kind of cute. We were thinking more of a deafening caw.